Recent times have seen the space industry skyrocket with new startup businesses, all of whom share a desire to stand out in this increasingly saturated market. Most have adopted the “lean startup technique” by producing a minimum viable product (MVP) to attract initial interest from potential target markets. Early customer retention and collated feedback provides a stepping stone on which a new and improved version can be later produced. Following its establishment in 2012, Glasgow-based space company Alba Orbital began to design and develop Unicorn-1, its first iteration of a PocketQube platform as their MVP. Our team of engineers built this 2p nano-satellite, in partnership with the European Space Agency (ESA), for in-orbit demonstration, testing and experimentation. As small as an Irn Bru can, the building and launch of Unicorn-1 was justified by its offer of low-cost turnkey access to space. It targets those who want to fly to space for the first time. One of its many applications is plane tracking, for example. Alba Orbital sees it as a trial run for the world’s first picosatellite low earth orbit inter-satellite link to a geostationary platform. Serving as a test satellite, several conclusions were drawn and lessons were learned for more ambitious future missions. Alba Orbital does not regret their decision to firstly develop Unicorn-1 as a primordial product. There was reasoning and viability behind this. All technically oriented products require a series of testing to work smarter in terms of efficiency and design. We believe that Unicorn-1 has enough value given that it is still in use. As it is the most basic template of our possible final product, our early adopters have a better idea of what to expect in our future development. Alba Orbital learned so many lessons. Primarily, we learned how to build a satellite. Most importantly, we found out about how to establish a large engineering team and grow a company around a team. The experience of building PocketQubes was a massive leap forward. General feedback inspired the Unicorn-2 satellite platform - our most recent 3p nanosatellite advancement, also created in partnership with the ESA for further space exploration. One may ask - what are the key advancements/improvements from Unicorn-1 to Unicorn-2? Unicorn-2 is far better for a number of reasons. It is everything that Unicorn-1 was not. The overall design originated from the ‘mobile phone philosophy’ where the subsystem was integrated instead of modular. It is closely reviewed by the ESA to guarantee quality assurance. Unicorn-2’s integrated payload supports many more applications from nighttime earth observation (EO) to aircraft signalling. The opportunity to add custom payloads, a 22gsd from a 500 km orbit, also offers higher adaptability. Data collection is further optimised by being 20 times quicker via the addition of two different new radios and antennas. We stand at 200 kilobytes per second versus 10 kilobytes in Unicorn 1. 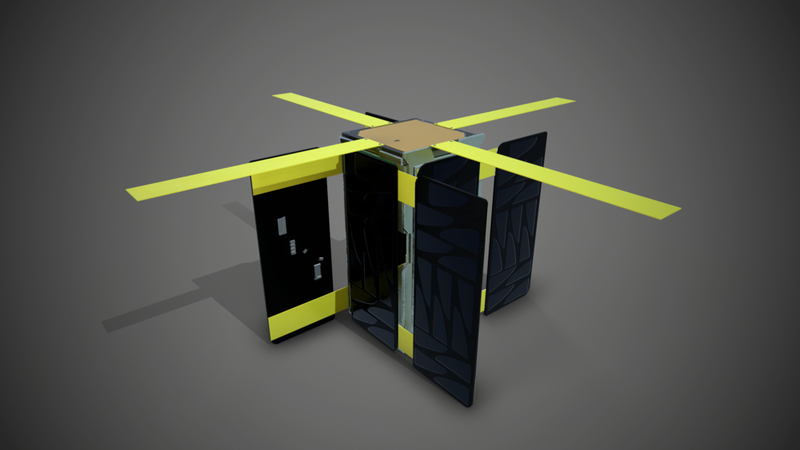 Ultimately, Unicorn-2 contains the world’s first ever Nano-satellite Quadruple deployable solar panel that maximises the capacity of the battery, generating up to 19 watts of power - our key headline number - compared to under 1 watt on Unicorn 1. We are essentially 20 times more powerful. There is active control for the first time so we can orientate the satellite where we want to go and this allows for more missions. We have more payload volume internally - all our electronics are integrated into the backplane, one main circuit board that has all the key components - whereas in Unicorn 1, there were several small boards. The payload volume allows us to fly cameras. In general, it is a much more advanced platform. For more information, please email contact@pocketqubeshop.com.